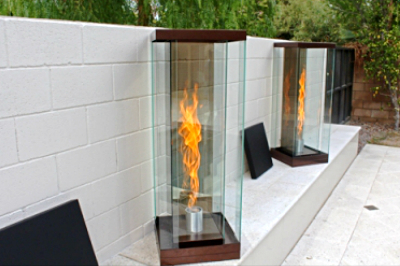 These set of custom Vortex Fires were powder coated with a beautiful Copper Antique finish (by our friends at (tigerdrylac). 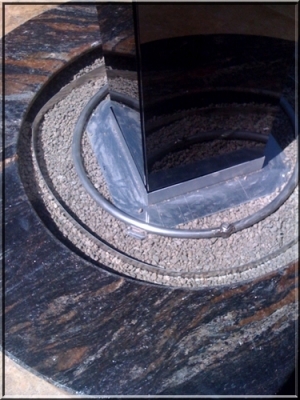 We would of hoped to install them further to the right, but the plumber didn't cut the old light system flush with the concrete top. 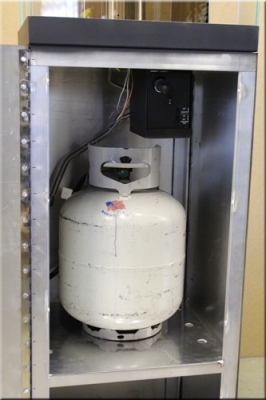 So sadly the gas line and hole will be visible until the issue has been rectified. 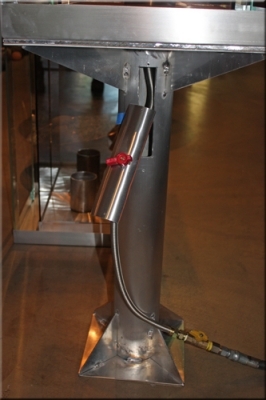 The following pictures and illustrations come to us from Mark Sturky, the future pilot for Virgin's Galactica spaceship. 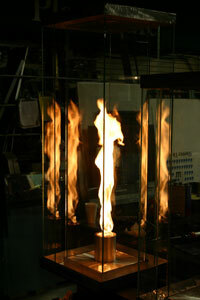 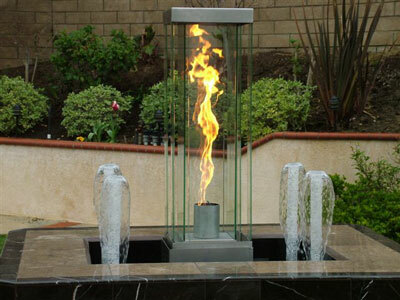 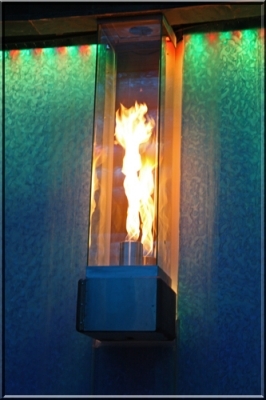 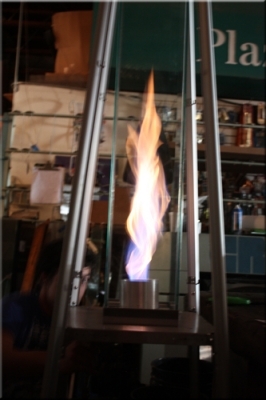 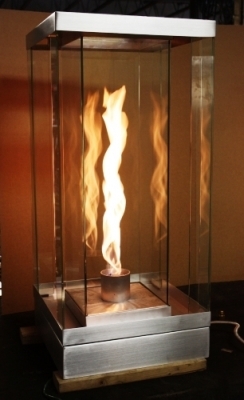 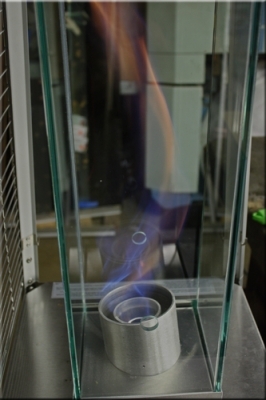 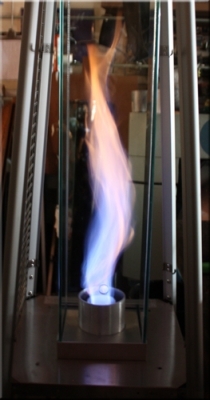 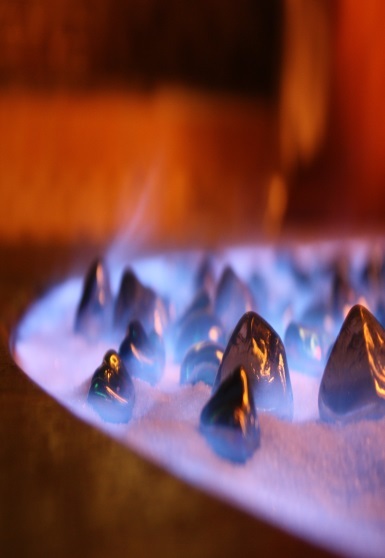 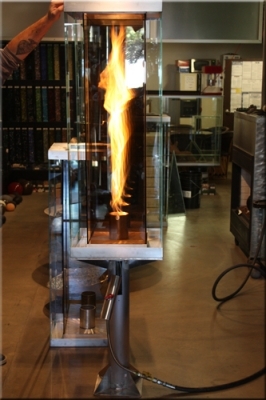 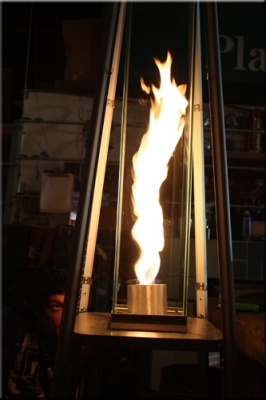 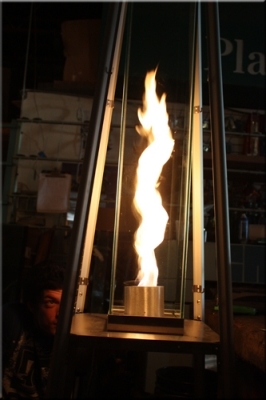 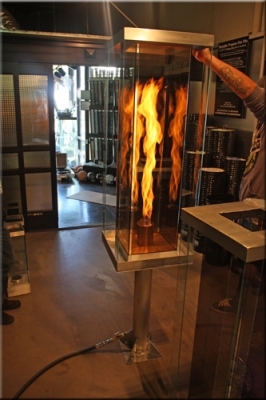 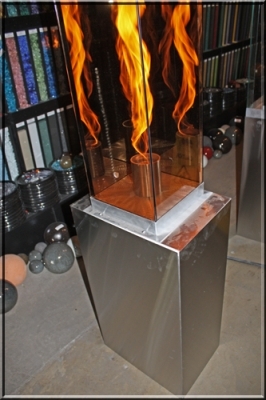 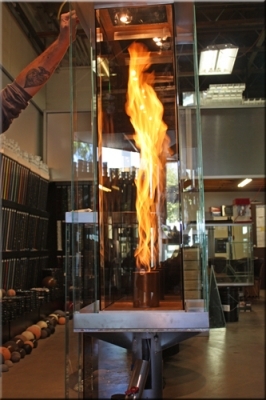 He came to us for a futuristic Vortex water and fire feature. 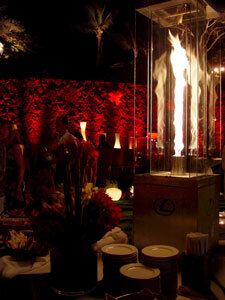 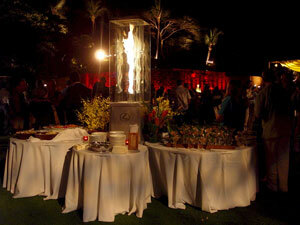 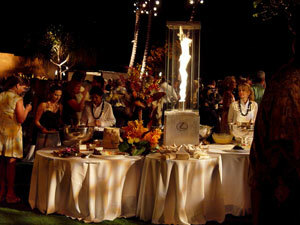 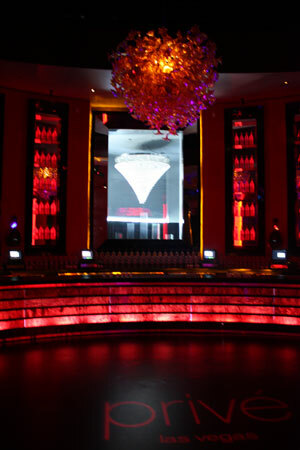 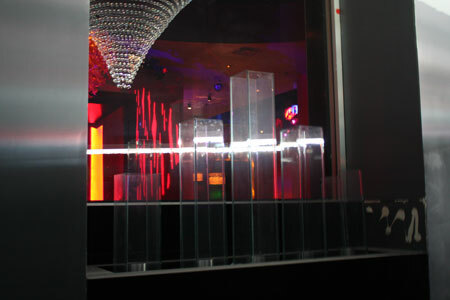 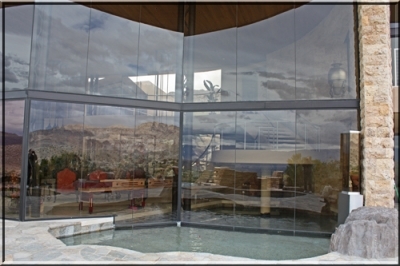 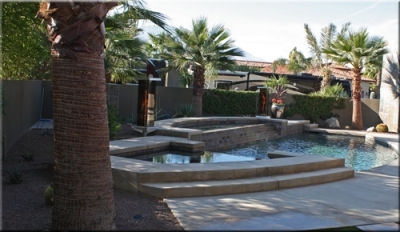 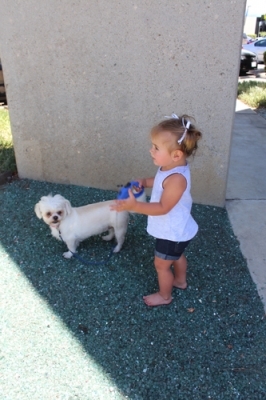 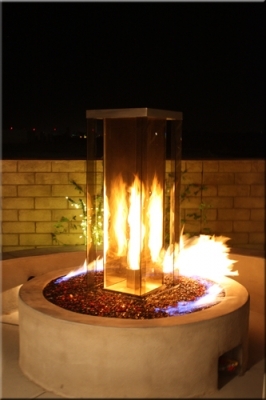 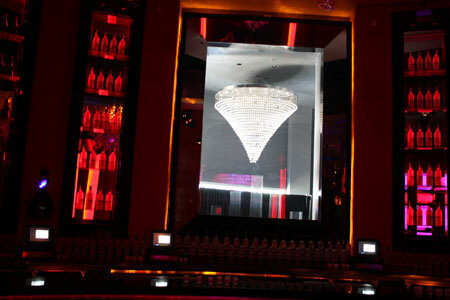 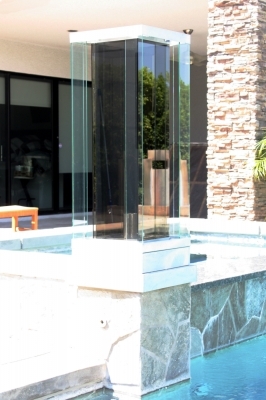 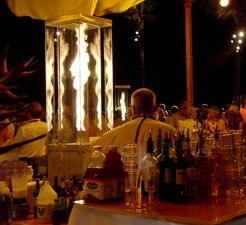 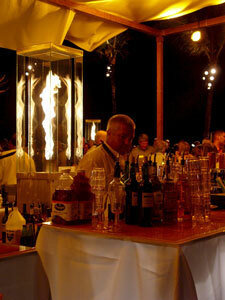 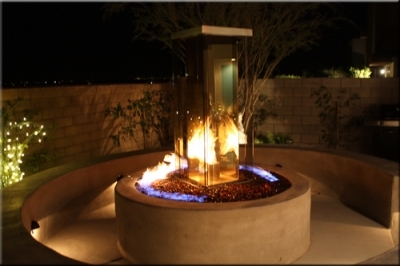 The Generation One, Vortex was the center piece to a custom outdoor sitting area. 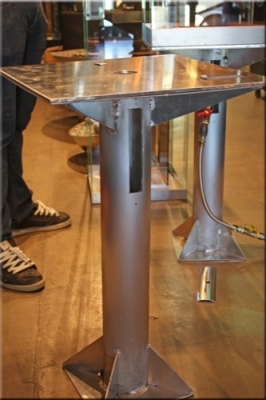 Situated in moderately windy area it did not require a windshield encasing. 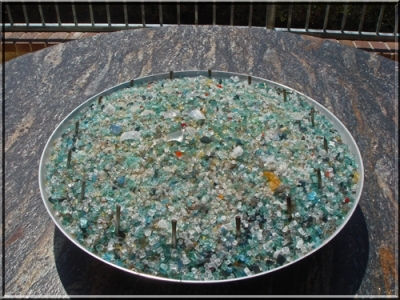 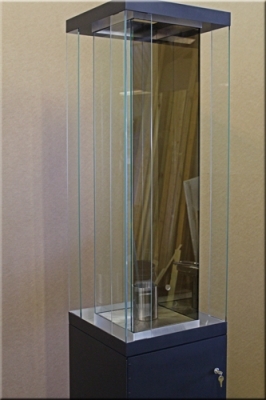 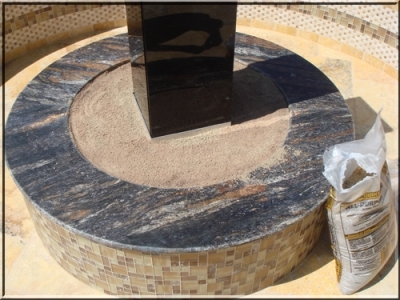 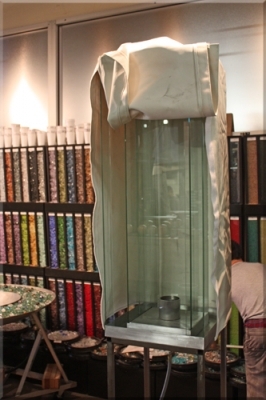 The glass used was a a Graylite Reflective with a base of Black Magic under a white sand. 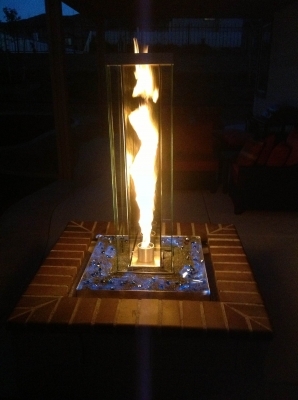 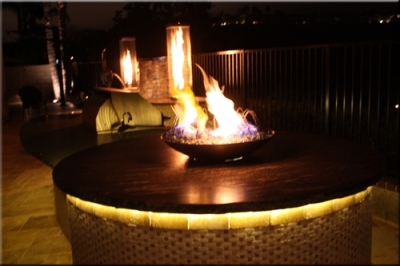 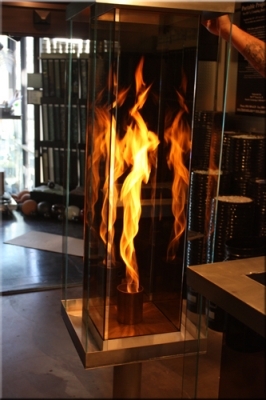 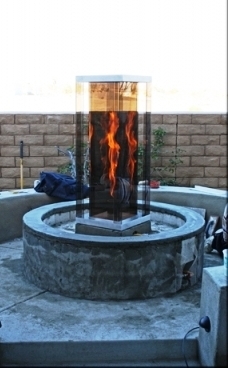 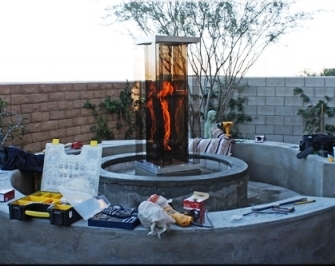 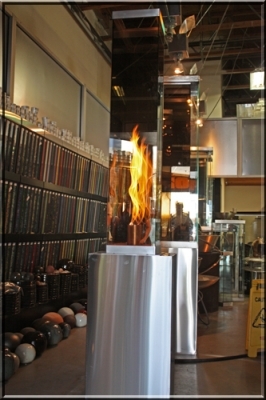 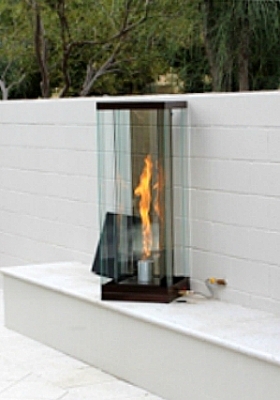 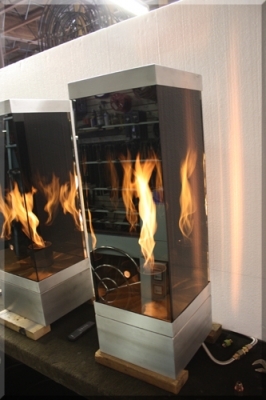 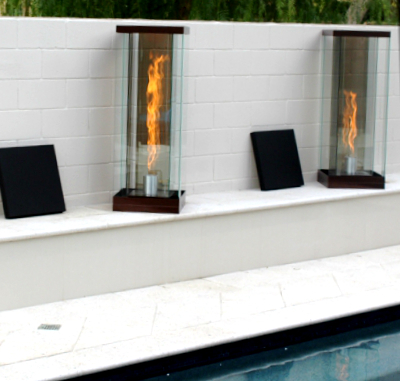 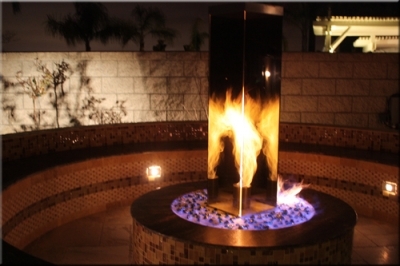 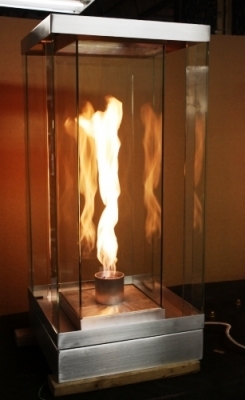 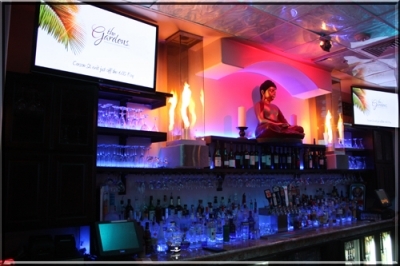 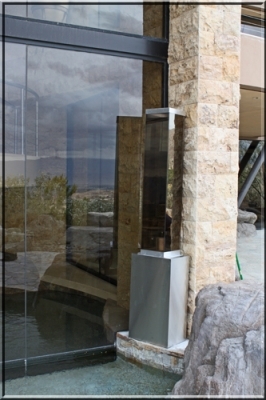 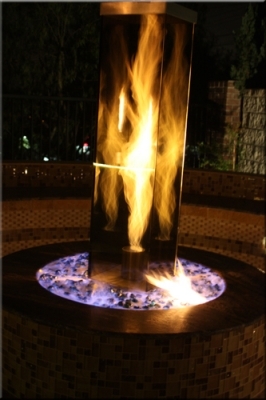 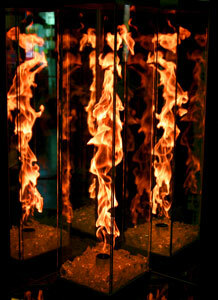 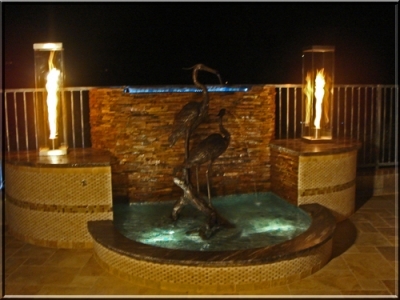 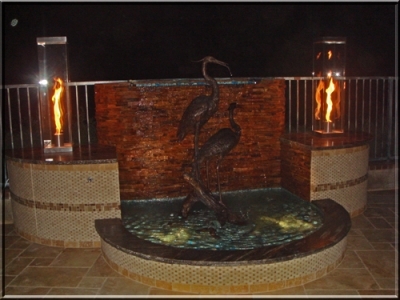 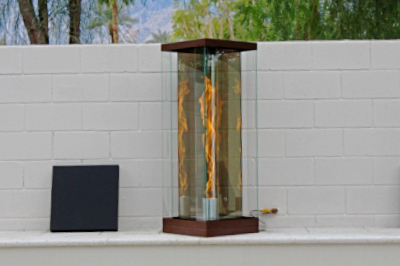 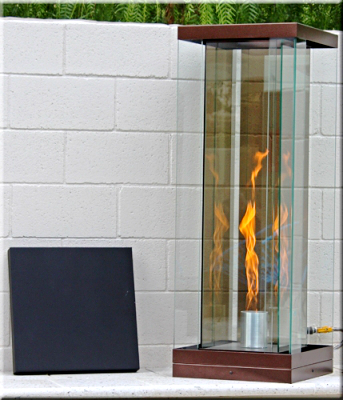 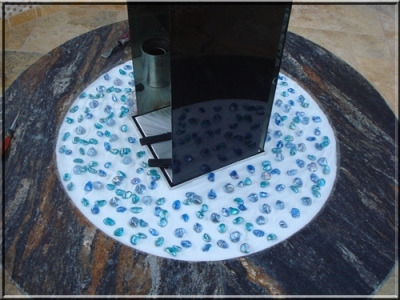 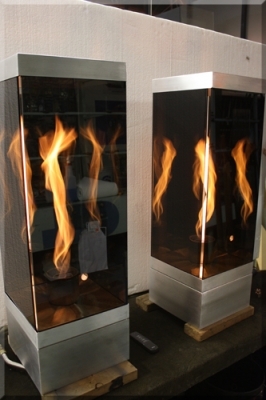 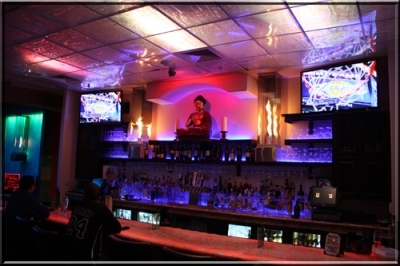 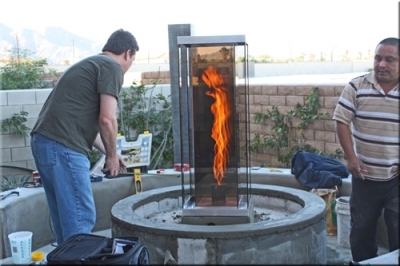 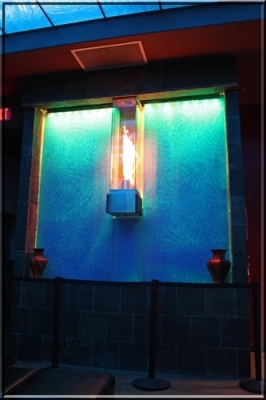 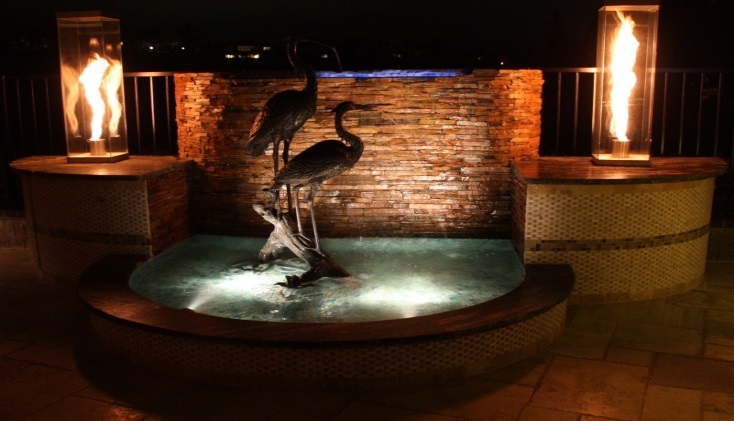 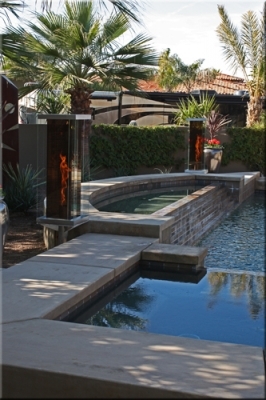 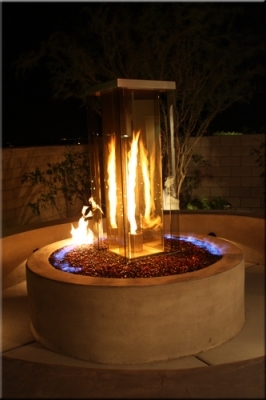 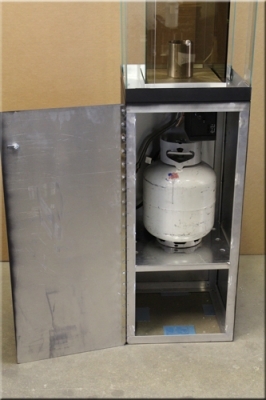 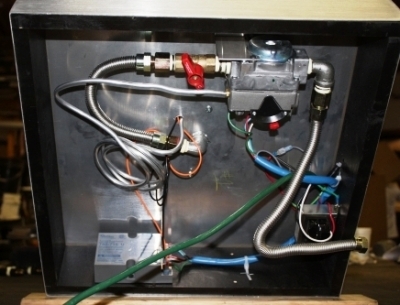 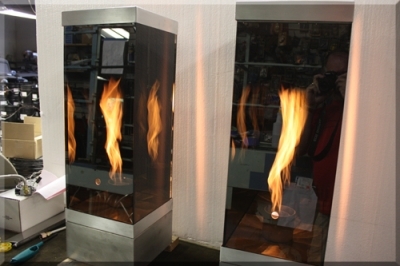 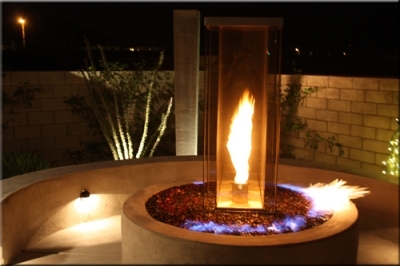 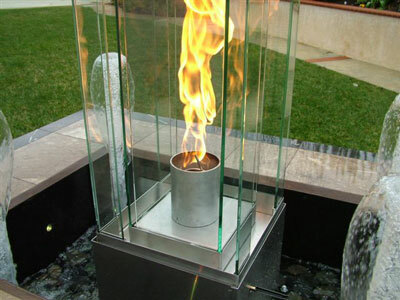 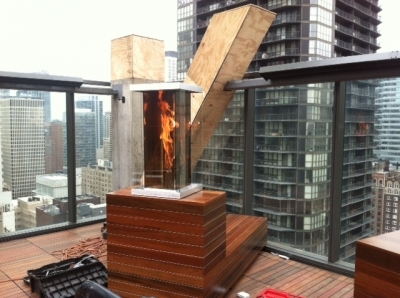 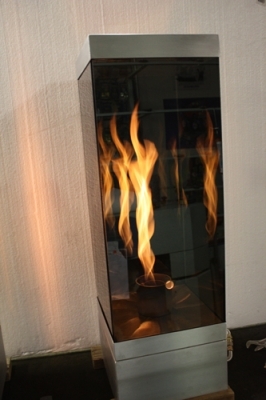 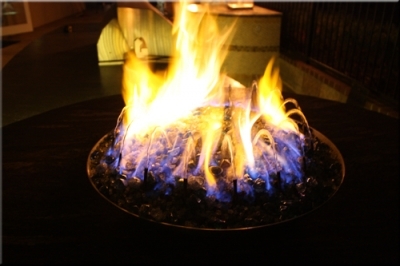 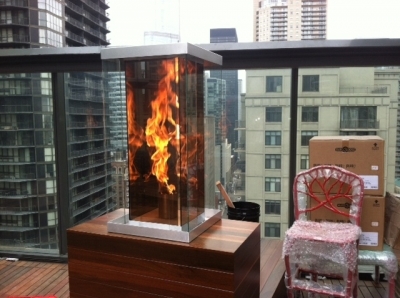 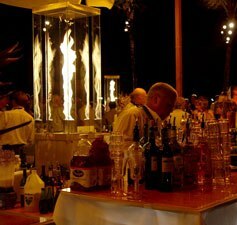 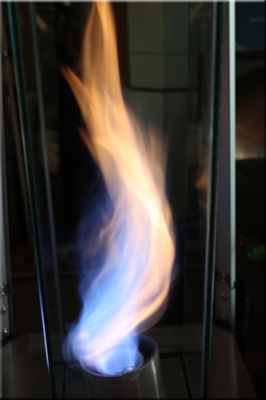 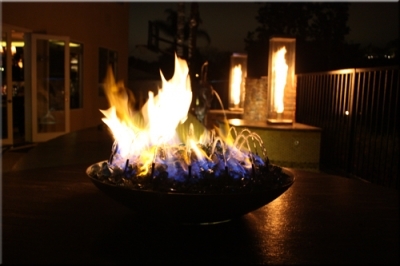 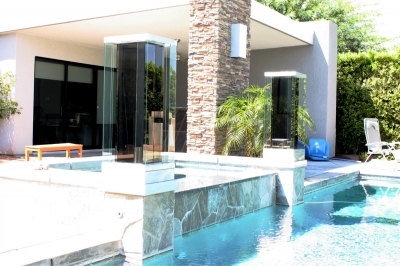 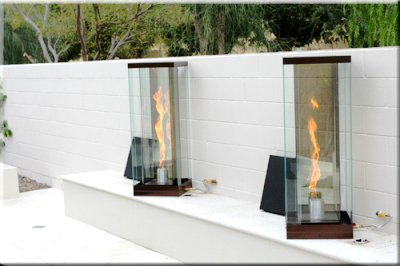 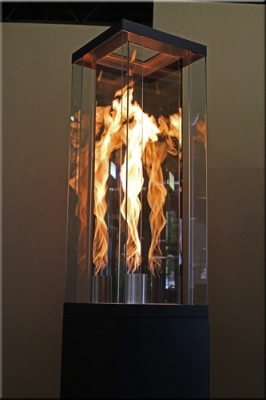 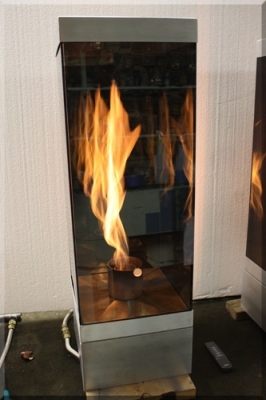 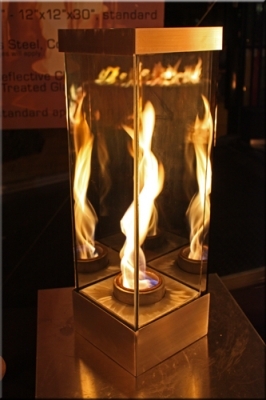 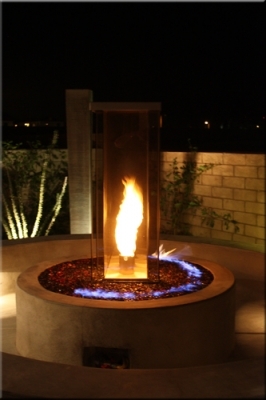 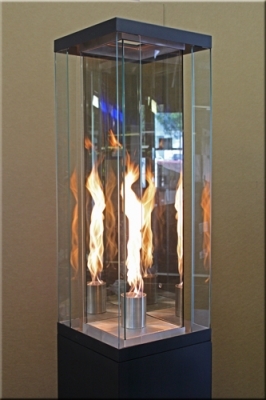 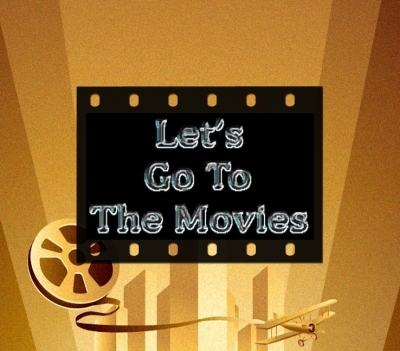 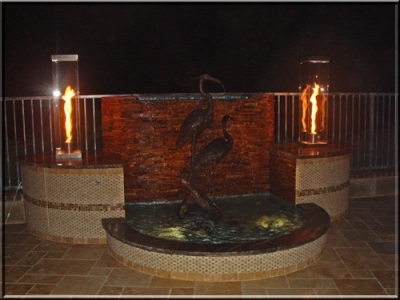 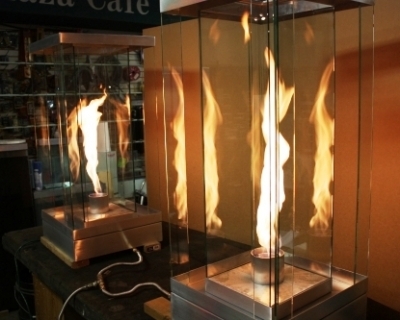 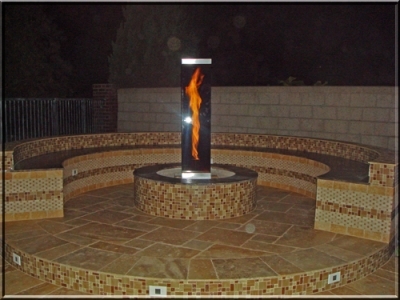 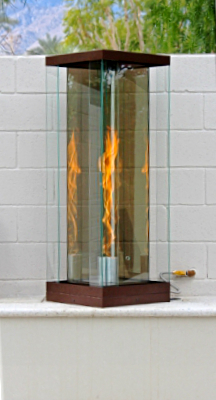 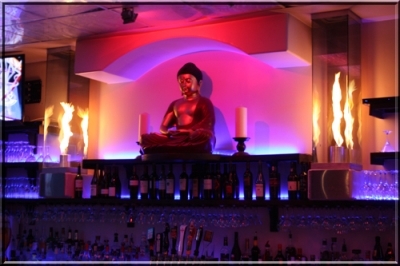 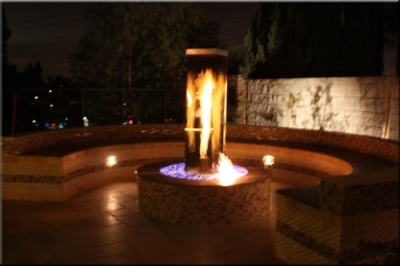 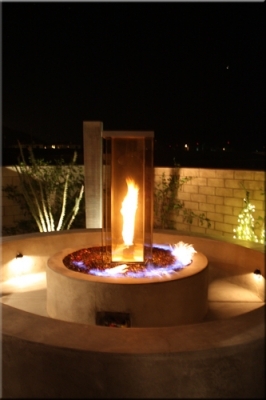 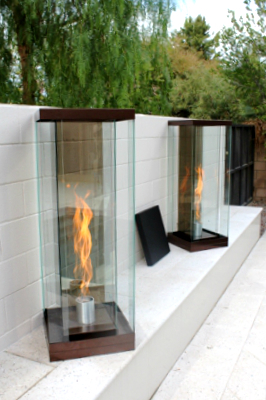 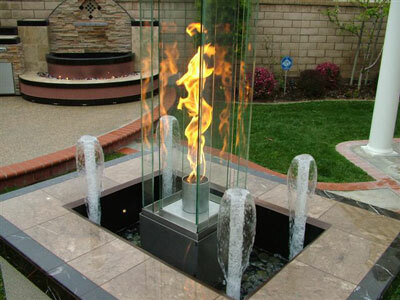 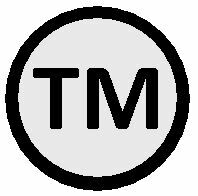 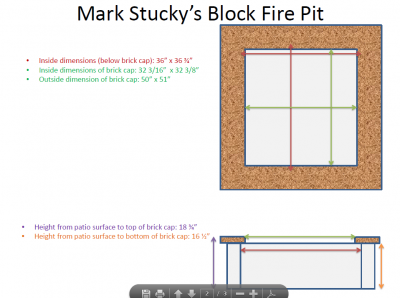 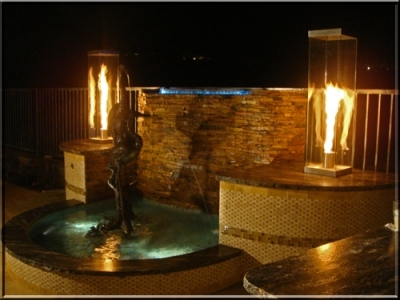 Call or Email Gloria some pictures of your ideas at Info@EcoFireFeatures.com. 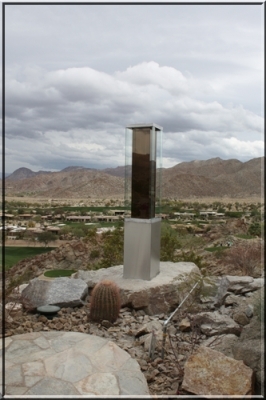 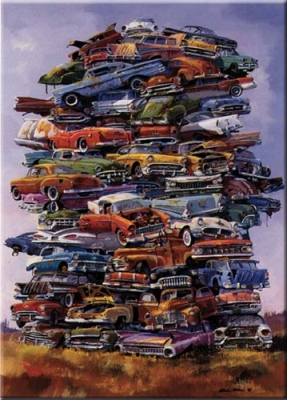 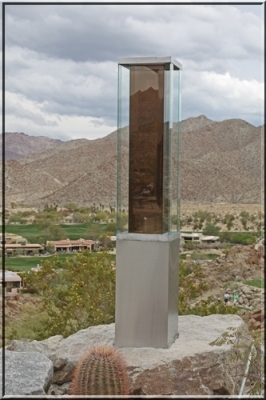 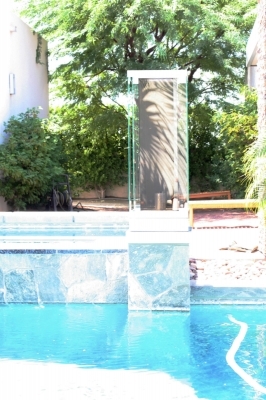 This next Vortex project belongs to Alfie Pettit in Palm Springs, California. 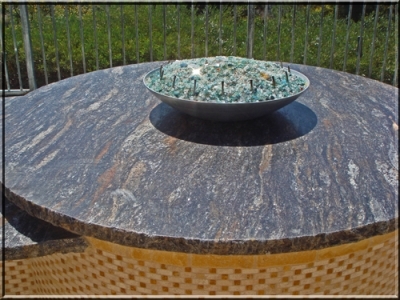 One of our favorite and most colorful clients, Alfie designed this outdoor sitting area with our Vortex as its center piece. 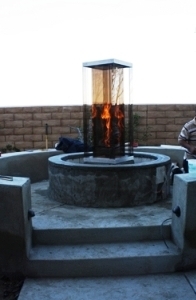 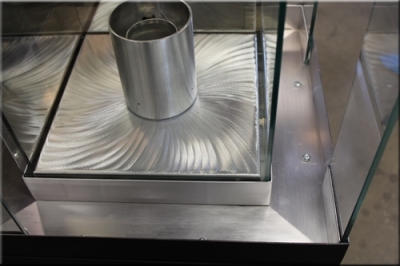 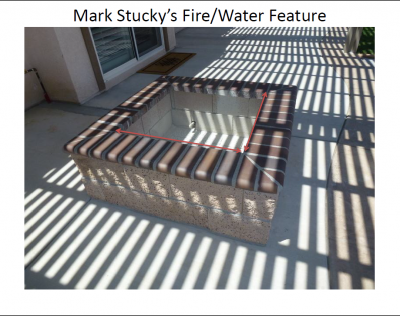 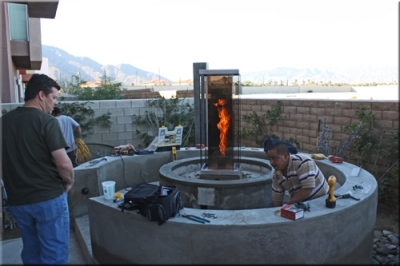 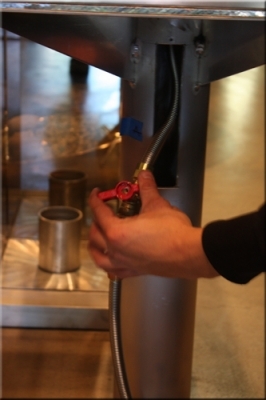 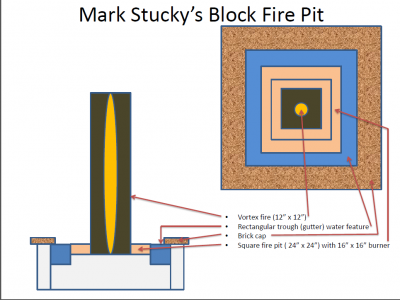 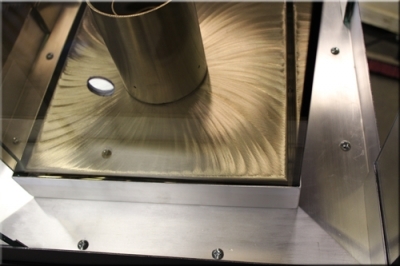 We installed a 42" center-less stainless steel ring which made a fire pit all around the Vortex. 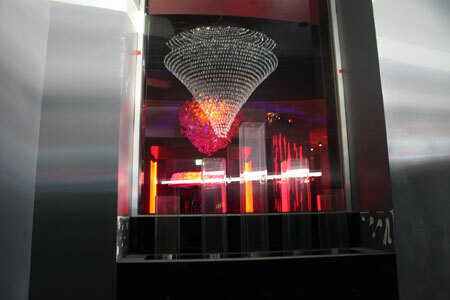 Here are some photos of the installation. 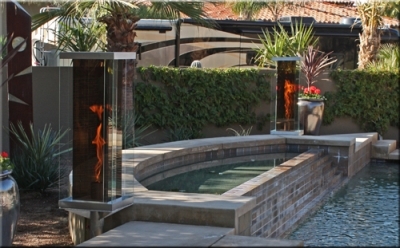 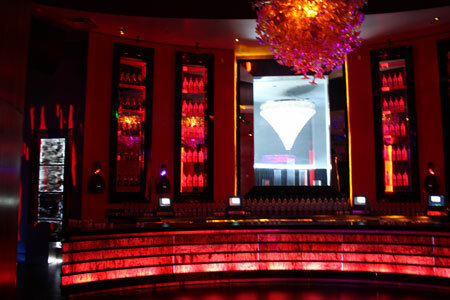 See the Collins Design Vortex Project "HERE"!